Golfing the Badlands of the Caledon Hills. 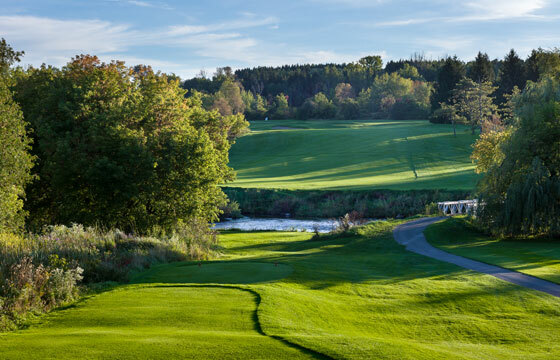 When Bruce McLaughlin had a vision to create a resort, recreation centre and golf club on his 180 acre parcel of rolling country side in the Caledon Hills, he entrusted up-start golf course architect Rene Mulyaert with the task of realizing his vision. Mulyaert took the task to hart and created a friendly routing that takes full advantage of the elevation changes of the hilly landscape and great use of the Credit River and accompanying creeks that meander throughout the property. Although there is a fair amount of elevation change throughout the course you will not find yourself with any crazy side hill lies or ups and downs that are too steep to handle. 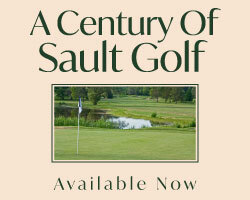 The Chinguacousy Country Club, as it was first named when it opened in 1961, was Mulyaert’s first design and it launched the beginning of a prolific career which saw him design over 50 courses in Ontario. In the clubs early years the grounds were a family oriented year round operation which included a 25 metre swimming pool, equestrian riding academy, tennis courts and supervised children’s area. In the winter months members enjoyed cross-country skiing, sleigh rides and outdoor curling. As the membership grew the course was expanded to include a 9-hole junior course and year round chalets were added to the property. 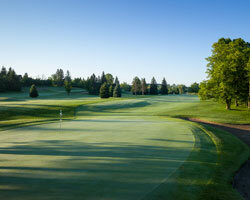 Today the club is known as the Caledon Country Club. The 9-hole course and the riding academy are no longer in operation and the club is now open to the public but the sense of community among the courses pass holders and regulars still thrives. The front nine opens and closes with two driveable par 4's that cross the Credit River. Similar in nature both teeing grounds are built into the valley wall on one side of the valley and with the sloping elevated green complexes situated on the far site. Number 1, named Glory, is a great hand shake introduction to the nature of many of the risk-reward holes to follow. At 239 yards the hole challenges you to take on the risk but the reward may not be to your liking if you come up short in one of the two deep fronting bunkers. The prudent play is a mid iron down to the flats on the valley floor leaving a pitch up the hill. Keeping the ball below the hole is a must for the green slopes heavily back to front. The front nine home hole, Go For Broke, is slightly longer than the first at 298 yards and is a fantastic tempting grip-it and rip-it par 4. Two fronting bunkers pinch the landing area leaving a narrow entry way to the putting surface. The wayward drive will find a creek right and trees right. Again the mid iron lay up is the smart play. Along the way you will encounter several holes where taking an aggressive approach will offer birdie opportunities but trouble lurks to foil your plans. Holes such as the Devil’s Corridor (#3) where you can take the big stick far down the fairway leaving a short pitch to the green but hazard left and overhanging trees right will only reward the straightest of shots. Signature Hole (#14) is another hole where the big hitter is offered a risk-reward opportunity. The teeing ground is perched high above the fairway and offers spectacular views of the Caledon Hills that stretch off in to the distance. At 547 to 619 yards this sweeping dogleg leg left is a true three shotter par 5. The longer hitter is tempted to try to cut the corner but if you bite off too much a marshy grave that runs the length of the left side will be your balls final resting place while the ball that fails to turn left will bring the right side OB in to play. Care must be taken on the second shot as the landing area is pinched by the aforementioned marsh and OB and two fronting bunkers. 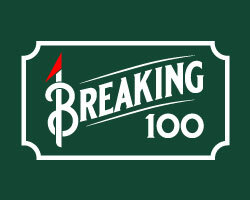 A big number awaits the failed gamble attempt. In addition to this group of superb risk-reward holes Mulyaert also included a great collection of varying par 3’s. Number 5 is a short and downhill over one of the Credits tributaries and requires a short iron. The 8th hole is a straight away beast where a long iron or utility is likely the club of choice. Number 12 plays over a valley and a mid iron in needed to reach the green complex built into the side of the hill on the far side and finally number 16, which a tricky hole requiring a short to mid iron to a small target protected by bunkers and a creek short with more hazard right. The greens on all four are sloping and care must be taken to stay below the hole (this can also be said for the other 14 hole). To conquer Caledon the player whose strategy employs a little finesse will likely leave the course a happier player that the one who tries to bludgeon the course with brute force. Once you have finished enjoying your round be sure to make a left out of the clubs drive way and take a short drive to check out the Cheltenham Badlands. The site is located on the south side of Olde Base line Rd just west of Creditview Rd. This ‘badlands’ formation was caused by poor farming practices in the 1930’s which lead to serious soil erosion and exposed the underlying shale. The red colour is due to iron oxide deposits and some green streak can be seen as a result of ground water percolation changing the red iron oxide in to green iron oxide.